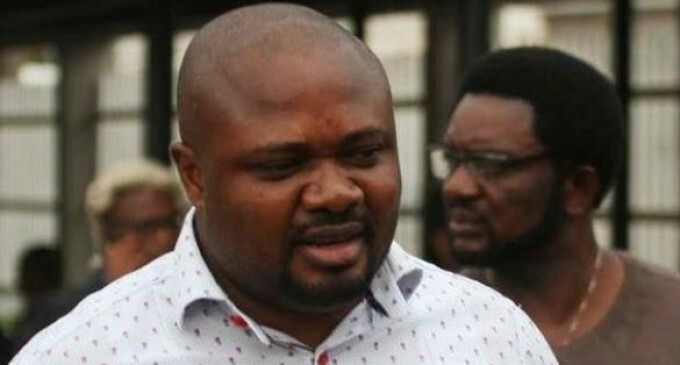 A former Senior Special Assistant to the for President Goodluck Jonathan on Domestic Affairs, Dr. Emmanuel Waripamo-Oweu Dudafa, on Thursday, urged the Federal High Court, sitting in Lagos, to dismiss the amended charge filed against him and other on alleged N1.6 billion fraud. Dudafa, alongside Mr. Iwejuo Joseph, are facing trial before Justice Mohammed Idris court on the alleged offences preferred against them by the Economic and Financial Crimes Commission (EFCC). Dudafa told Justice Idris that the money was part of the N6 billion realised from the launch towards the building of St. Stephenâ€™s Youth Development Centre, Otuoke, by the Anglican Communion of Otuoke community. He said, â€œFrom my interactions with former President Goodluck Jonathan, I know that the funds were proceeds of a launching that was conducted by the Anglican Communion of Otuoke community for the building of St. Stephenâ€™s Youth Development Centre, Otuoke. â€œThe launching which was done in Lagos on March 16, 2013, was organized by the former president as a member of the Anglican Communion and the grand patron. â€œAbout N6 billion was realized from the event. Several persons made various donations at the event while the chief launcher, Prince Arthur Eze, donated $10 million (about N1.8 billion). The donation by the chief launcher was a pledge which he promised to fulfill in piece-meal. â€œWhen Prince Eze started redeeming his pledge in piece-meal, the former president directed that I get somebody in the private sector that will be able to keep the fund. â€œI then brought in a friend, Somprie Omiebi, who later opened an account with a bank in Bayelsa. The naira denominated account was opened to keep Prince Ezeâ€™s money. â€œAnytime Prince Eze brought any money, the former president will direct that I link up with a Bureau De Change (BDC) operator who will remit the money directly to the account opened by Somprie Omiebi. â€œThe companies listed in the charge are not known to me and I am not a signatory to their accounts. I am also not a Director. â€œI know Somprie Omiebi as someone in the private sector that brought those accounts and the companies to the former president and his wife for the safekeeping of their money. Omiebi is the only person that knows the details of the various accountsâ€, he had added.